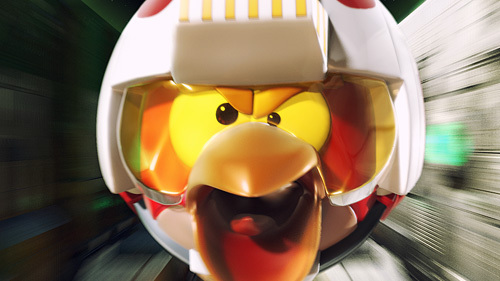 When a phenomenon like Angry Birds meets a cult classic like Star Wars, the world gets a bit more awesome! Throw in a Jenga-style game format and one runs out of superlatives! The characters, Death Star and ATAT 3D models were all created from the actual toys and the scenes are inspired by the original Trench Run and Hoth battle scenes … Like I said: Awesome!